A silver, metallic liquid will be visible from inside the bulb or vial if the thermometer contains mercury. Remove batteries and dispose of them as household hazardous waste. 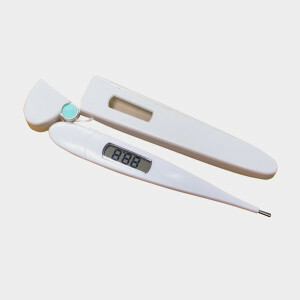 Next recycle digital thermometers as e-waste, because they contain small electronic parts. If you avoid purchasing mercury, you can reduce the amount that is available to leach into lakes and rivers. Healthcare facilities contributed the most amount of mercury to the environment in the US and Europe decades ago. Once they realized the dangers of mercury exposure, they phased out the use of medical devices containing mercury.